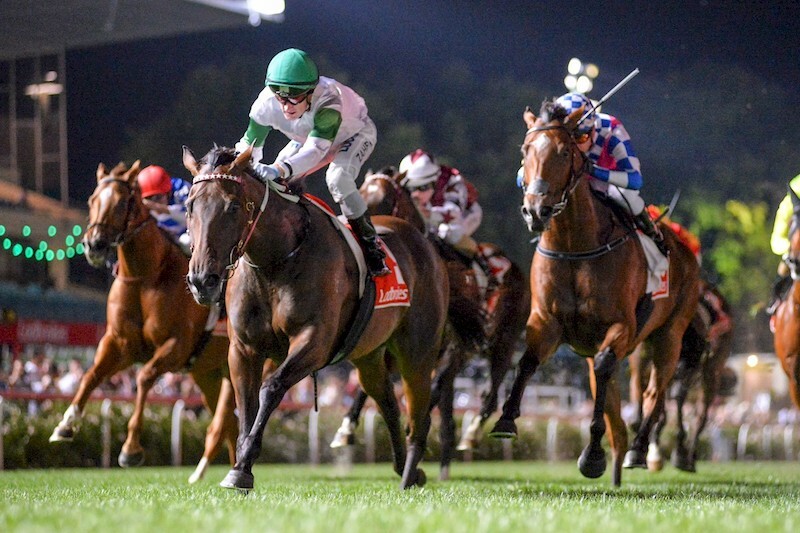 A brilliant display from Whispering Brook in Friday’s Group Two Australia Stakes at Moonee Valley has put the Darren Weir trained mare right in contention for Group One glory. Bred by Victoria’s Hillside Parade Racing & Breeding, the Hinchinbrook 5-year-old is next likely to step out in the time honoured CF Orr Stakes over 1400 metres at Caulfield on Saturday week, but you won’t find her West Australian-based owner, Alan MacAlister among the crowd. The amiable Scotsman moved to Perth with wife, Birgitt, and his children some 15 years ago, while their involvement with the racing industry stretches three decades. As members of the Royal Ascot Racing Club, the MacAlisters were part-owners of 2005 Epsom Derby hero, Motivator (who would go on to sire dual Arc de Triomphe winner Treve), while they also raced 2014 Group One Winterbottom Stakes winner Magnifisio and dual stakes winner Dawn Approach. Another of the stable stars was the Lindsay Park trained, He Or She, who won the Group Two Blamey Stakes, before running third in the Makybe Diva Stakes, second in the Underwood Stakes and third in the Caulfield Stakes – all at Group One level. Now MacAlister is pinning his hopes on Whispering Brook breaking his Group One duck in the east. Whispering Brook was purchased on the MacAlisters behalf by Simon Miller for just $45,000 at the 2014 Magic Millions National Weanling Sale and she is currently the winner of 10 from 23 starts, with nearly $1.2 million in stakes. A sensation in the west, Whispering Brook won all five starts as a 2YO, including the Group Two Karrakatta Plate, Group Three WA Sires’ Produce and two other black type events. She then made her first trip to Melbourne where she ran a lip second in the Listed Atlantic Jewel – her first defeat – and later third to Global Glamour in the Group One 1000 Guineas. 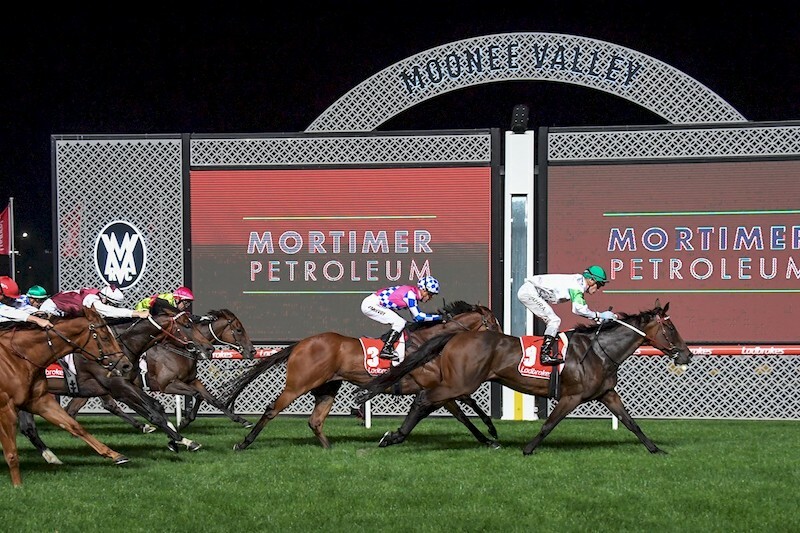 Returning to Perth for several placings but no wins, Whispering Brook was relocated to the Weir stables early last year where she has since won the Listed Abell Stakes at Moonee Valley and run an unlucky fifth in the Group One Robert Sangster at Morphettville. Resuming in December, Whispering Brook peeled off a win at Flemington, backed up again at Flemington on New Year’s Day for a victory in the Group Three Standish and, as of Friday, the Group Two Australia Stakes. MacAlister also indicated that this was likely to be Whispering Brook’s final racing campaign and she will be sold as a broodmare later in the year. “We’ve got a 100 acre property which caters to our 20 mares and foals, but I send all the broodmares to West Australian stallions. The MacAlisters also part-own the Encosta de Lago Group horse, My Admiration, who stands at Westbury Park Stud near Pinjarra in Western Australia. And while MacAlister swears blind he won’t be anywhere near Caulfield racecourse come Saturday week, one can only image he won’t be whispering if his mare hits the lead with 100 metres to go in the Orr! EARLIER POST: Australian Thoroughbred Wellbeing Survey needs your input!